I am so grateful to the library staff for their support and encouragement. They’ve been on board with our reading program for the last five years, and I am so proud that I was able to contribute to this project. This is the fifth iteration of the Readers Corner, which is the library’s collection of graded and leveled readers, and I think this is the best one yet. 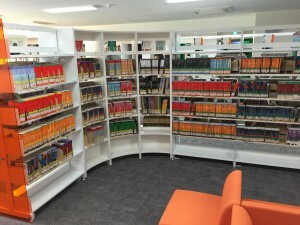 Classes start today, and the newly refurbished library opens for business for the first time. The Readers Corner is surrounded by well-lit seating and study areas, making it easy to read books there (useful for students trying to power through the lowest level readers, which aren’t really worth borrowing as they can be read in 5-10 minutes). The inside bookshelf, with higher level books. 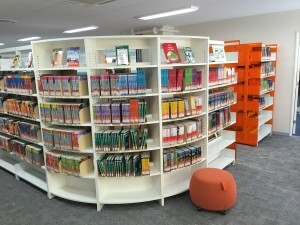 The Tohoku University Library can be used by the general public after registering. 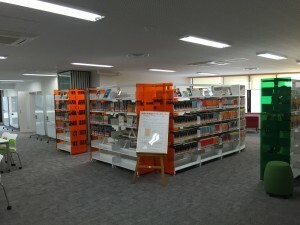 Please come and check out our English materials if you are interested. Drop me a line, and I’ll be happy to show you around.